The Xperia C4 leaked for the first time as Sony Cosmos, but less than a week ago rumors emerged that pointed to the actual market name of the smartphone. 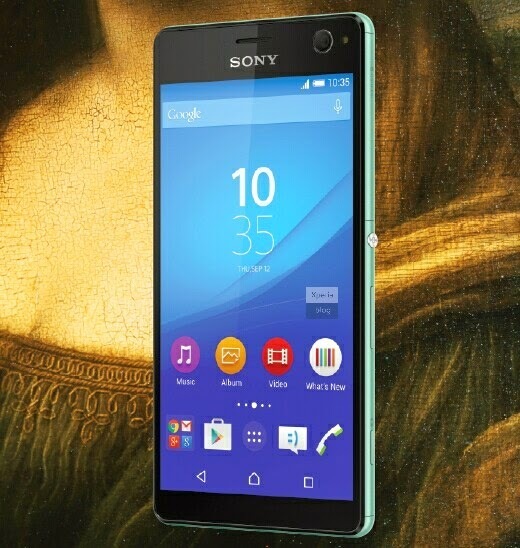 So, previously known as Sony Cosmos, the Xperia C4 has just appeared online. Although this is not the first time Xperia C4 is caught on camera, the picture published by XperiaBlog is the first clearly showing the smartphone. The pic leaked doesn't come with a specs sheet attached to it, but we already know some of the most important features packed inside the Xperia C4. Judging by the phone's name, the Xperia C4 is a mid-range handset. However, the rumored specs point to a powerful device equipped with an octa-core MediaTek MT6752 processor. We also know the smartphone will pack a 5-megapixel camera in the front with a dedicate LED flash. The main camera on the back will feature another LED flash, but for the time being there are no details on the amount of megapixels. There's no doubt about it, Sony Xperia C4 will ship with Android 5.0 Lollipop operating system out of the box. Sources close to the matter claim the smartphone will be available in three color options: black, white and turquoise. Sony Xperia C4 is expected to be unveiled sometime in May / June, but an exact release date hasn't been announced yet. The timeframe makes sense since the previous Xperia C3 model was launched in July. From the few pieces of information we got, it looks like the Xperia C4 is a selfie phone with mid- to high-end specs. This means that it won't be priced too low, especially that it's a Sony-branded device. We're convinced that more info on Sony Xperia C3's specs sheet will emerge in the coming months, so those interested might want to stay tuned for additional details on the matter.